Are You Playing the Long Game with Real Estate Investments? Are You Playing the Long Game with Your Real Estate Investments? I agree pretty strongly with today’s quote. With the advent of social media and cell phones, it seems that they have encapsulated perhaps one of the worst part of today’s culture – the need for instant access and quick results. With everyone and everything at our fingertips, it can be easy to get distracted and not think about long game. 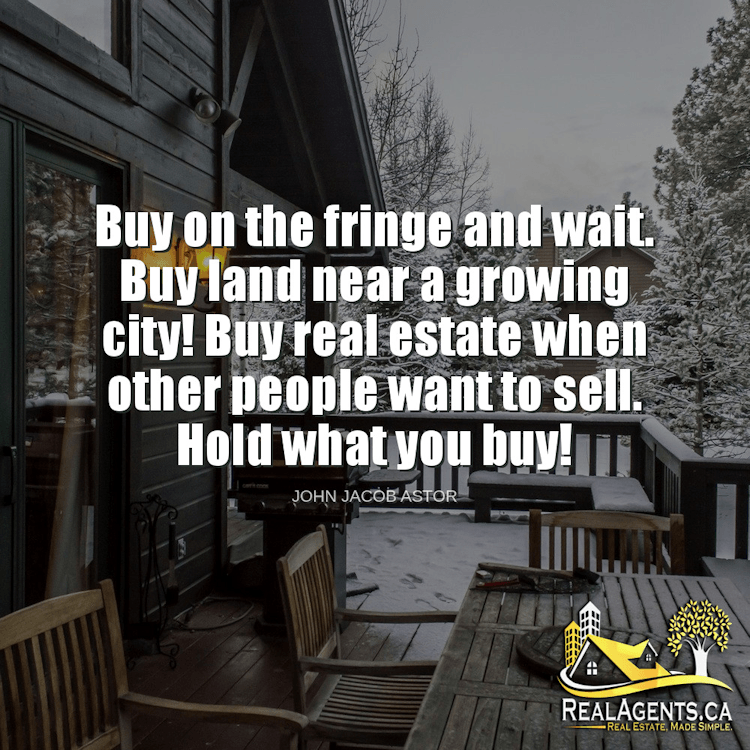 However, in real estate, much like many investments, it is in the waiting that the real value of the investment will shine. I think what Mr. Astor is pointing out here, is that we have to think long term and buy land that will be valuable 5, 10 or even 15 or more years down the road. I’d love to hear any stories that you may have, personal or otherwise! Please feel free to save and/or share this picture! John Jacob Astor (July 17, 1763 – March 29, 1848) (born Johann Jakob Astor) was a German–American businessman, merchant, real estate mogul and investor who mainly made his fortune in fur trade and by investing in real estate in or around New York City. Born in Germany, Astor immigrated to England as a teenager and worked as a musical instrument manufacturer. He moved to the United States after the American Revolutionary War. He entered the fur trade and built a monopoly, managing a business empire that extended to the Great Lakes region and Canada, and later expanded into the American West and Pacificcoast. Seeing the decline of demand, he got out of the fur trade in 1830, diversifying by investing in New York City real estate and later becoming a famed patron of the arts.